Orhan Pamuk was born in Istanbul in 1952 and grew up in a large family similar to those which he describes in his novels Cevdet Bey and His Sons and The Black Book, in the wealthy westernised district of Nisantasi. As he writes in his autobiographical book Istanbul, from his childhood until the age of 22 he devoted himself largely to painting and dreamed of becoming an artist. After graduating from the secular American Robert College in Istanbul, he studied architecture at Istanbul Technical University for three years, but abandoned the course when he gave up his ambition to become an architect and artist. He went on to graduate in journalism from Istanbul University, but never worked as a journalist. At the age of 23 Pamuk decided to become a novelist, and giving up everything else retreated into his flat and began to write. His first novel Cevdet Bey and His Sons was published seven years later in 1982. The novel is the story of three generations of a wealthy Istanbul family living in Nisantasi, Pamuk's own home district. The novel was awarded both the Orhan Kemal and Milliyet literary prizes. The following year Pamuk published his novel The Silent House, which in French translation won the 1991 Prix de la découverte européene. The White Castle (1985) about the frictions and friendship between a Venetian slave and an Ottoman scholar was published in English and many other languages from 1990 onwards, bringing Pamuk his first international fame. 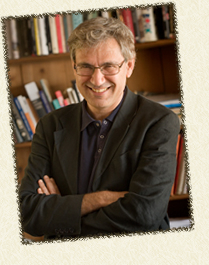 The same year Pamuk went to America, where he was a visiting scholar at Columbia University in New York from 1985 to 1988. It was there that he wrote most of his novel The Black Book, in which the streets, past, chemistry and texture of Istanbul are described through the story of a lawyer seeking his missing wife. This novel was published in Turkey in 1990, and the French translation won the Prix France Culture. The Black Book enlarged Pamuk's fame both in Turkey and internationally as an author at once popular and experimental, and able to write about past and present with the same intensity. In 1991 Pamuk's daughter Rüya was born. That year saw the production of a film Hidden Face, whose script by Pamuk was based on a one-page story in The Black Book.